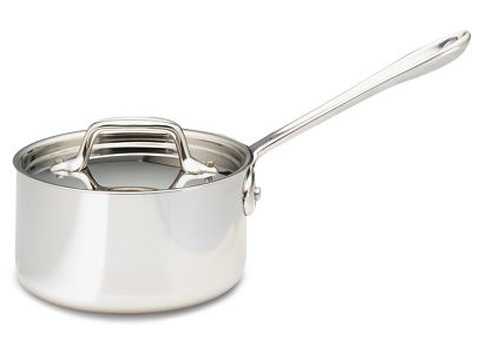 It’s a big leap, from making munitions to making cookware…but now, decades later, All-Clad is America’s favourite cookware brand, favoured by professional chefs and serious cooks all over the world. Introducing All-Clad’s classic range: the Stainless Steel Collection. It’s made from shiny stainless steel, with an aluminium core for ultimate heat conductivity…which means your food will be cooked really quickly, using less energy than ever! There’s a reason why All-Clad Stainless Steel is so shiny. Every piece of Stainless Steel cookware is individually polished by hand before it leaves All-Clad’s factory. That’s not just cookware – it’s a love affair.